Anti wrinkle injections is an easy and reliable method that removes the wrinkles that are evident with age on the skin that surrounds the eyes and forehead, which occurs among the aesthetic’s non-surgical methods. Type A botulinum injection injects into the muscles of the muscles with fine needles, allowing the lines to disappear within about 4-7 days and preventing new wrinkles from forming. Over the years, declining collegen and elastin tissues and the effects of free radicals have led to the formation of thin, deep lines and sags in the face. Brows, mouth circumference and cheeks hang down. Hyaluronic acid is a healthy method that has been used for many years in the treatment of wrinkles, or sagging cheeks. It is injected from hyaluronic acid or collagen containing materials both resolves with time. Its application is very easy, it can be done in a short time with local anesthetic creams. 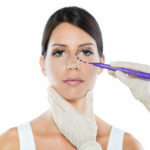 Removal of pigmented marks, moles, raised rough areas, skin tags, cysts and fatty lumps (lipomas) is carried out under local anaesthetic on an outpatient basis in most cases. If sedation is required, this can be given too. Raised lesions can be shaved off or scraped off (curettage) level with the adjacent skin and the raw surface left to heal by itself over 10 to 14 days. However, many lesions either require an incision to get at them (cysts and lipomas) or are best completely removed which leaves a gap in the skin itself. Scars can result from injury, from disease or from surgery and form a permanent mark in the skin. Some scars heal and fade very well (usually over about 9 to 12 months) but others may be obvious because they are wide, badly orientated, discoloured and/or thickened. Sometimes laser treatment may be tried, whilst surgical scar revision by scar removal and painstaking repair is the best approach in some cases. In addition professional advice on cosmetic camouflage can also be very helpful. Basal Cell Carcinoma (BCC), also known as ‘Rodent Ulcer’ because of its tendency to nibble away at an area of skin and deeper tissue and to cause surface ulceration if left untreated, is the commonest form of cancer – not just of skin cancer – in white people. Fortunately, as it virtually never spreads anywhere else in the body, it is also the most curable. Generally occurring in those aged 40 or more and with increasing frequency with age, and starting perhaps as a small red mark or a pearly change in the skin, which then spreads more widely in that area or thickens into a pearly nodule, BCCs require a tissue sample (biopsy) to be taken under local anaesthetic to confirm the diagnosis.